This post and the covered work were inspired by Tyler Hobb’s post A Generative Approach To Simulating Watercolor Paints. I came across it in April and decided to replicate it from scratch as a first project to build out my own generative art toolkit. This is a walk through of the fun! I don't go into nearly sufficient detail for anyone to follow along step by step, but I hope to cover the basic ideas and provide links to resources so that if you decide to implement what I describe, you can. We will render an image in this guide. To follow along find some library for the language you are using that allows you random access to pixels in an image buffer or on-screen. I used repa in Haskell as a buffer and wrote out to a bitmap. If you're totally unfamiliar with pixels: they are some tuple of values that represent a color and maybe an opacity. There are many ways of defining color but most common is an rgb color space (there is more to it but for now it doesn't matter). For any given pixel you will have a 4-tuple: (red, green, blue, alpha). Google "color picker" to play around with the values and get a feel for it. In this chapter we will render a simple square. We need a coordinate space for our polygons to exist in. We will use floating point coordinates because polygons have infinite resolution, even if our output image has a finite one we use integer coordinates for. (0.0, 0.0) refers to the bottom left and (1.0, 1.0) refers to the top right. Where I assume that the last vertex connects with the first vertex to close the polygon. Polygon rastering usually uses some variation of scanline rendering. This is the crux of scanline rendering: on pixels where we have intersected the polygon an odd number of times, we shade it as part of the polygon. I'll include some Haskell sample code below for guidance because I had a good deal of trouble understanding handwavy guides like this when I first implemented it. As we travel left to right over each row with a scanline, we need to know some things about our polygon's edges to count how many we intersected so far. First we need to know: Is this edge intersected by a scan line at height y? a.k.a. Does this edge exist on row y? Look again at polygon D in the scanline diagram and notice that its top right edge is not present in the rows of scanlines b or c. This means we need to know the bottom and top y of each of edge. Second we need to know: Is this edge to the left of column of x? 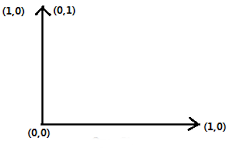 At what x does the edge intersect the scanline row, and is that x less than the x we're looking at? To do this we must have the edge's slope so we can work backward and find x in terms of y. These are the questions the type you preprocess your edges into must be able to answer. You can discard edges with slopes of 0; edges parallel to scanlines don't help. Once you know the pixel is in the polygon, you can shade it however you want! This is because we've been treating pixels as shaded or unshaded for a given polygon; there will necessarily be boundaries on a diagonal line where a pixel passes our test and gets shaded while the neighboring pixel fails the test, creating a stair-like pattern, a result of aliasing. Earlier I mentioned that polygons are continuous and solving this problem requires treating them that way. When we render a polygon with our scan line algorithm, we sample a continuous space (a grid with infinite resolution where polygons live) and grab a sample of it for each unit of our discrete medium (a grid with finite resolution which is our image).  Now we will super sample, meaning we will take more than one sample of the infinite grid per pixel. Where before we took one sample and decided whether or not to shade the pixel, now we will take four evenly spaced samples per pixel and average the results. 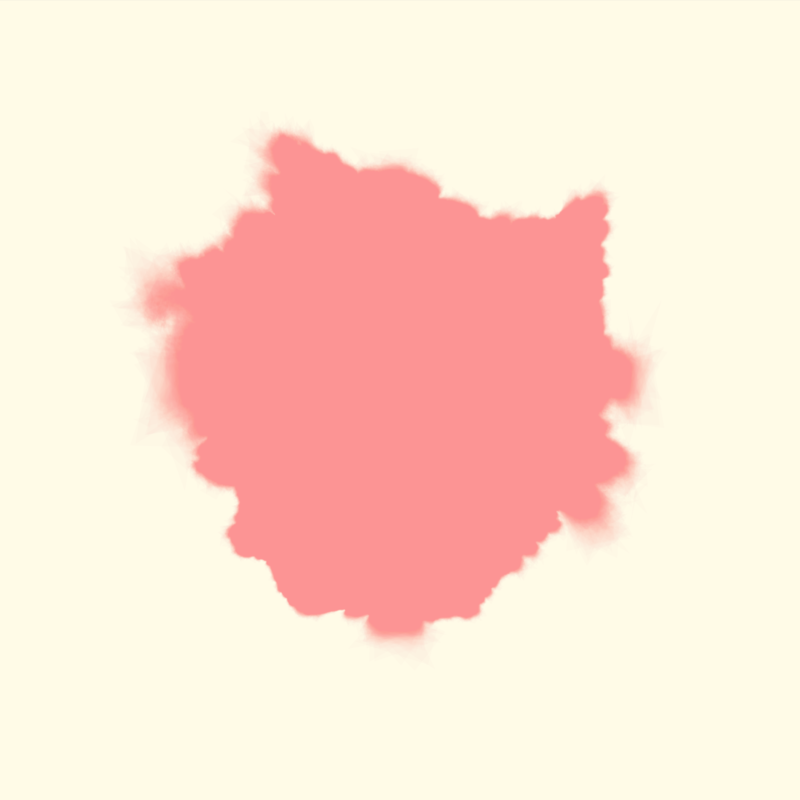 For example if three out of our four sub-pixel samples of the polygon are shaded, we color that pixel with 75% opacity. Some steps are still visible here where the lines almost become parallel with scanlines (the worst case). You can take your pursuit of smooth polygons much further if that's your taste. See here for a good start. You can follow the rest of this guide with a well written version of the above algorithm; I never had any problems rendering watercolor. If you are hoping to use the algorithm for bigger things, implementing it in such a way that it can handle the amount of polygons you'll inevitably demand of it in the amount of time you'll want it to is a categorically different endeavor. I spent a great deal of time profiling and re-implementing this algorithm in different languages and never achieved the throughput & latency goals I had. 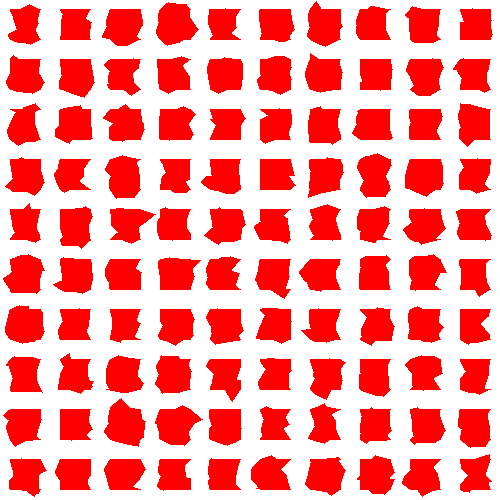 Tessellate your polygon into triangles because most gpu APIs render only triangles. 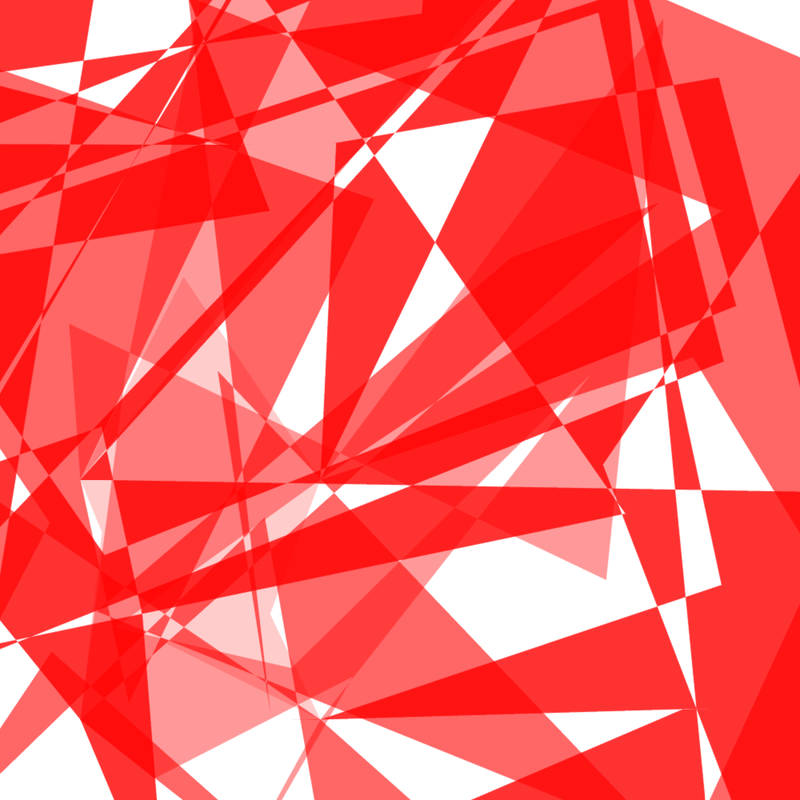 Write shaders for the graphics card to color the triangles. See The Book of Shaders for a good introduction and the OpenGL wiki (or the docs for Vulkan if you've got shiny hardware) to get dirty. In this chapter we will make our polygons into water color through a series of deformations of the original polygon. Using this we can make a regular n-gon by taking n points on the circumference of our circle. Our water color simulation is built using a warp function, which wiggles the vertices of a polygon randomly on a Gaussian distribution. 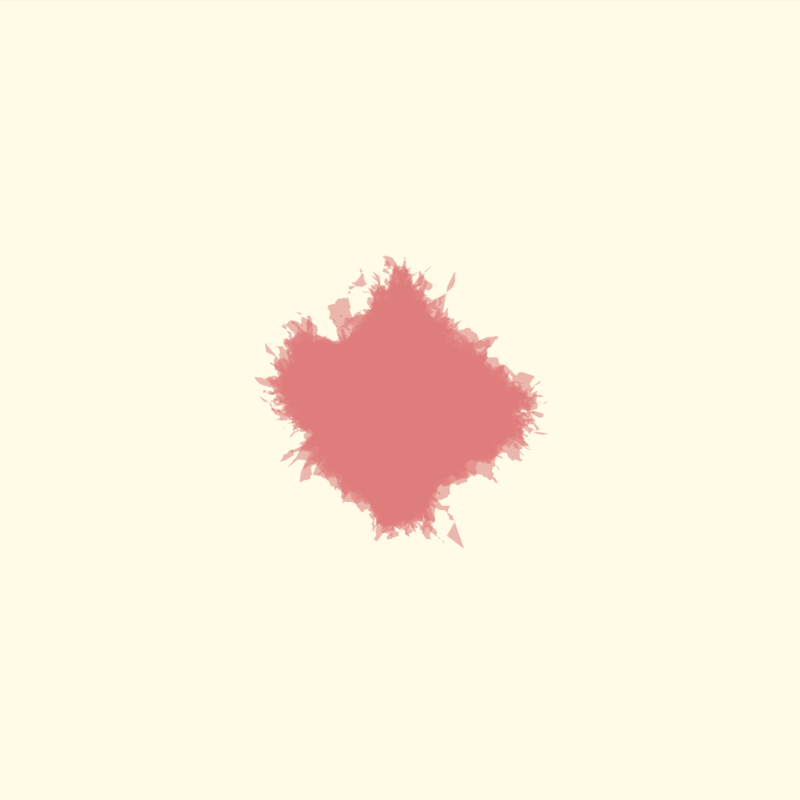 Generate a random offset by sampling a Gaussian distribution. (Optionally) Change the sign of the offset so it always moves the vertex out from the polygon center. Scale the offset to the local strength. Our local strength will be the distance between the vertex's surrounding neighbors. So when warping B in vertex set A -> B -> C, our local strength is the distance between A -> C; this should be the upper bound on the vertex's offset. -- The center of a bounding box around the polygon. The next core piece of our water color simulation is subdivision of our polygon. For each edge, we want two edges that compose the original edge. Apply the warp function 4-5 more times to each duplicate. You will find different results depending on the order in which you apply subdivision and warp functions. You can also change the spread of different areas by adding to your local strength factor a strength value associated with each vertex in the base polygon. This means some areas will spread out more than others. You can get finer edges by subdividing more often than warping. That's it! There are too many variants of these rules to go over, so I'll leave them to explore. Here's a piece I made with an implementation of this algorithm in my toolkit valora. This will become slow on cpu if you demand too much even if your implementation is solid. As with most generative art rules it's easier to experiment with it on CPU and if you decide you really want to keep it around you may want to invest in writing shaders to do the work on GPU instead. If you have questions feel free to ping me on Reddit at /u/roxven!